There's a pretty remarkable thing I've discovered in my time as a real estate investor. I've learned that my geographic location has virtually nothing to do with the investment opportunities that are available to me. For the longest time, I wouldn't believe it. I had this preconceived notion that the only way I could buy properties without being an idiot was to work in the immediate vicinity of where I lived (basically, anything within a 50-mile radius of my house). As time went on, I started to realize that there was a VAST ocean of resources available to me on the internet. To my surprise, there was actually very little standing in the way of me buying land anywhere on earth. All I needed was a decent internet connection and a reliable computer and I was pretty much unstoppable… and when it comes to monetizing the next deal that comes across your desk, your geographic location shouldn't be stopping you either. This is no joke – I could tell you all kinds of stories about properties that I (and other members of the REtipster.Club) have bought and sold without ever seeing in person. In fact, most of the biggest deals I've ever done (ones that have generated more than an entire year's salary from my day job) happened with properties in states that I've never even been to. When I first got into real estate, the idea of buying a property from afar sounded like utter foolishness to me. You couldn't have convinced me that I could make an “educated buying decision” on a property when I couldn't see with my own eyes. I mean seriously… what kind of person dumps a small fortune into a property without seeing it?? And what about the administrative aspects of “virtual real estate investing”? Can you really be an effective communicator, negotiator, coordinator, closer, researcher, appraiser, advertiser, and an overall entrepreneur without ever meeting face-to-face with your prospects, customers and clients? From what I had seen in the corporate world, it was pretty much assumed that this kind of business model wasn't a possibility (side note: I've noticed that when most people haven't done a thing, it's easiest to throw a great big “CAN'T” in front of it). As a result, I didn't start thinking outside the box until I had to… and boy was I surprised at what I found. Now to be fair, some of this bias is understandable. Most of us would NEVER feel comfortable buying a car, a house, or any other major tangible asset without getting a good feel for what we're actually getting… but what if you could get all of the critical decision-making criteria without leaving the comfort of home? If you could eliminate 90% of your questions on the front end, would that be enough information for you to move forward? Before we get too far, I should preface this by clarifying that when I'm buying and selling properties remotely, the vast majority of these properties are vacant land. Vacant land is a different animal than houses, duplexes, apartment buildings and the like – because with vacant land, I'm able to see almost every aspect of a property anywhere on earth, and I can do the bulk of this investigation from the comfort of home, with online resources that are almost entirely free (which we'll talk about more below). That being said – can you buy and sell properties “virtually” if you're dealing with houses, duplexes, apartments and more complex types of real estate? I think it's certainly possible… but it would involve a few more items that aren't discussed below (depending on what your project entails, you'll most likely want a good home inspector, a competent property manager, and a trusted general contractor, among other things). 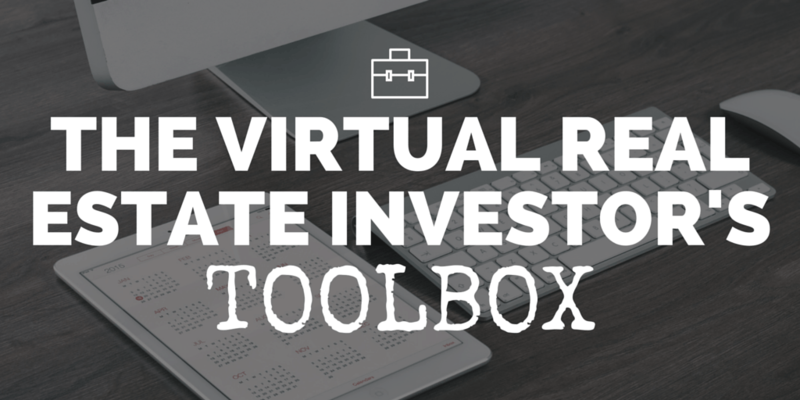 Since there are several aspects of virtual investing that need to be covered here, I've broken these tools into a few key categories: “Property Research”, “Communication & Closing” and “Marketing Mediums” (I realize these are all rather broad categories, but at least it will help us specify which aspect of the job talking about). When it comes to property research, estimating market values and understanding the local market, Zillow can be a surprisingly useful resource (and no, I'm not talking about “Zestimates”). Zillow can be extremely helpful with land valuation and finding local realtors who can help get pictures, find comparable properties and even get your properties sold for you. Zillow is one of those priceless resources I use all the time (and it doesn’t cost me a dime). If you aren't already using Google Earth, you need to get it pronto (and given that it's free, there's really no reason not to have it). For several years now, Google Earth has been one of the most useful tools I know about when it comes to finding accurate and reliable data on the topography, surroundings and street views of the properties I’m researching. When you’re making a buying decision on any property (especially when its vacant land), this kind of perspective can be extremely useful. For a quick look at how powerful Google Earth is for virtual real estate investors, check out this blog post. AgentPro247 is a biggey, simply because it's so stinking convenient. Granted, the information on this site isn't always 100% correct… it takes some cross-checking in some areas, but even so – this is a fantastic and inexpensive way to get fast answers without blowing your budget. Even if you have to cross-check the information with other sources, it's still a worthwhile ongoing cost simply because it will get you up and running towards to goal in just minutes. 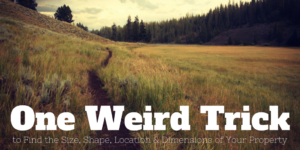 As I explain in this blog post, almost every county in America has some type of GIS Database (Geographic Information System) that they work with. This is the system they use to help define property boundaries, locations, owner information, tax payment history and much more. These systems can be extremely helpful… the only question is whether they've made it publicly available for you to use, and how user-friendly it is to work with. As you'll eventually learn, some of these systems are very easy to figure out, and others are MUCH more complicated and difficult to figure out. Either way, these systems are usually the most accurate set of data available (even more so than most third-party sources like AgentPro247), which means it's almost always worth the effort to find out if a GIS database is available in your area and how to leverage it in your due diligence process. You might be surprised at how much information you can glean simply by looking at the county website where your property resides. Similar to GIS databases, some county websites are very complex, detailed and have a lot of great information. Others are horribly designed, difficult to navigate and don't provide much help. Nevertheless, this is a great place to find out how to access the County Treasurer (aka – Tax Collector), Recorder (aka – Register of Deeds), Assessor, Zoning & Planning Department, Equalization Department and a lot more. If you plan to work in any particular area on an ongoing basis, it is definitely worth your while to explore the county's website and figure out what it has to offer – you might be surprised at how much you can learn from it! WeGoLook is an incredible service that makes it very easy for you to do an in-depth, on-site property inspection without ever setting foot on the property. This company has made it MUCH easier for long-distance investors to do remote property inspections and collect crucial information in the due diligence process from anywhere in the world. If you need a better on-site presence, check these guys out! BombBomb is a service that allows you to send your clients and prospects a video email – which can be highly instrumental in helping you build trust and make the closing process easier for your customers. Working your real estate business over the internet has its challenges. Some people will perceive it as impersonal and won't necessarily trust a faceless name on the other end of an email or property listing. That’s where BombBomb comes in. I’ve found that most people respond very well to video emails and they have helped me gain significant credibility when dealing with new prospects. For a more detailed overview, be sure to check out this blog post. As I explained in this blog post, a solid phone system is a crucial component of any real estate business, and this is even truer when you're trying to invest in properties remotely. This is your primary line of communication to the world and the best way to take control of your communication and project the right image for the people you'll be doing business with. There are several cloud-based phone systems available (and most of them are probably fine), but RingCentral is the one I have first-hand experience with. If you have any intention of operating a virtual real estate investing business, don't mess around with a flaky phone system – do it right, and go with a company that has your back. Dropbox isn't just a great system for managing and organizing your own files, it's also a great solution for sharing documents with other people. I use this system all the time when I'm sending a package of documents that need to be signed and/or reviewed and returned to me. Rather than messing with email attachments, Dropbox provides is a great means to simply drop files in a folder that are instantly shared between two computers. Digital signatures have come a long way over the past decade. Thanks to companies like DocuSign, people can now sign legally enforceable documents with more convenience than ever. Even the U.S. Government has gotten on board with the program! Granted, there are still some exceptions. As it concerns real estate professionals, there are some county Recorder (aka – Register of Deeds) Offices that require original, “wet signatures” (so depending on which county you're working in, you'll want to call and verify whether this will work). Nevertheless, if you need a way to make it extremely convenient for your buyers and sellers to sign purchase agreements or other documents leading up to the closing of a deal, the level of security that is now in place with digital signatures is astounding (seriously, you'd be surprised how much information can be used to verify a signer's identity these days). Rocket Lawyer has quickly become one of the most valuable resources in my business. Of all the “do-it-yourself” legal websites I’ve encountered online, none of them have made my life easier than this one. Rocket Lawyer has opened up a lot of doors for people in need of basic legal documents (like wills, deeds, trusts, promissory notes, operating agreements and more). They also make it extremely easy to register for a foreign qualification in any state (if you happen to be doing a lot of business in any particular market outside of your home base). I use this site regularly and it has become an extremely valuable resource for my operation. Craigslist is one of the highest-traffic websites in the world for buying and selling real estate, and it's a crucial component of my sales strategy. I’ve used Craigslist for almost every single property I’ve sold over the past 6+ years and if you aren't using it already, you should be. Zillow is another solid platform you can use to create property listings. This site will give you an easy (and free) medium to do reach thousands of people in a matter of minutes. The ads take minutes to put together and look great. I still use Zillow to this day because it’s free, easy-to-use and it gets great results! Facebook is a website that needs no introduction. In addition to being the dominant player in social media today, it has also grown into a very active and effective place to buy and sell real estate. 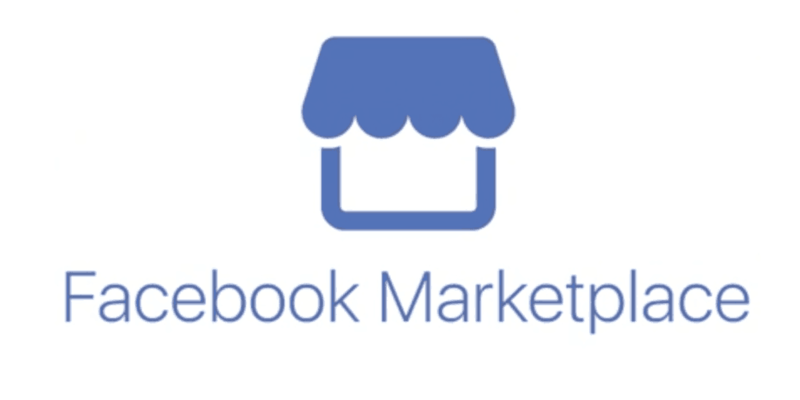 Whether you choose to post properties for sale in the Facebook Marketplace or in one of the local “For Sale” Facebook Groups in your area – this social platform offers a TON of opportunity to get more exposure. Whether you're building a buying website, a selling website or a squeeze page – Lead Propeller has you covered on all fronts, and all for the same price. When I started using Lead Propeller, I was amazed at how good their templates looked, how easy they were to build and how effortless they were to manage. Note: If you'd like to give it a try, be sure to use promotional code RETIPSTER when you sign up. This will give you 75% off your first month and I'll get a small commission from the sale (thank you for your support!). Most real estate investors can survive without a website, but if you're trying to work this business as a virtual real estate investor, this goes up a few notches in terms of importance. In many ways, this is the first impression most people will have of your business, and given how important trust is – it's very important that your first impression be a good one. Along the same lines as your phone system, this isn't an area you want to mess around with… go with an option that's going to be easy to build and manage. I haven't regretted it, and I don't think you will either. Now, it's only fair to acknowledge that “virtual real estate investing” doesn't come without its challenges. Let's be abundantly clear about one thing – YES, there is certainly some value in visiting a property on-site, in real-time, and see exactly what you're buying with your own eyes. I'm not going to deny that when I have this luxury, it always adds an element of comfort and certainty to the deals I'm working on. That being said, I still don't think it's a necessity… especially not with vacant land, and not at the expense of a $1,000 plane ticket and a lost weekend, just so I can see the thing with my own eyes (as opposed to the eyes of an inspector through a service like WeGoLook). At the end of the day, if you want to be successful with virtual investing, you need to get comfortable living with SOME (though not very much) ambiguity in your research process. When you encounter a property that has information gaps, it's simply a matter of how resourceful you are. The answers are always out there somewhere – but do you have the resources and connections (hint: see above) to fill in these holes? I've seen more than one investor (including myself) get hung up on one issue or another that didn't need to become a show-stopper. If you've taken a look at all the most pressing issues and you feel reasonably comfortable with the property – don't be afraid to move forward! The nature of due diligence is that good information comes at a cost. Sometimes that cost is in the form of dollars, sometimes that cost is in the form of wasted time and inconvenience. Make no mistake about it – whether you're digging up the information yourself or paying someone else to do it – you'll have to pay the price one way or another. If you find yourself wondering whether it's worth the added cost of a property inspection, the hassle of doing a title search or figuring out how to do payment processing – if these extra costs are causing that much difficulty in your decision-making, perhaps you're pursuing the wrong properties in the first place? If your profit margin is SO SMALL, that an extra $100 – $200 in closing costs is going to kill the deal, maybe you need to save up your pennies, let your cash reserves build for a while and then start aiming for some bigger fish. I understand – many of us have to start with the small stuff (I certainly did) but as a general rule, it's not smart to ignore certain due diligence items simply because you don't want to pay for it. The cost of mistakes in these areas can be WAY more costly in the end if you don't catch them before they land in your lap. 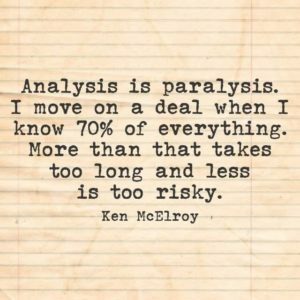 If you ever find yourself at the crossroads of deciding on costs you can't justify based on a deal that's too small, it's usually best to walk away. WeGoLook Review: Is this the Easiest Solution for Remote Property Inspections? Pretty Instant Review: Are Professional Photos Really Worth The Money? Wow. Great article with good information on Real estate investing. Thank you for the excellent resources! I will be using these to grow my business. Awesome! Glad to hear it Brian! Great post Seth! Would you mind elaborating on suggestions for a CRM system that’s easy to grasp and affordable, specifically for use by VAs. Your top 3 would be appreciated. Thanks in advance. Thanks Seth. I appreciate it! Reading this @ 3:54 a.m and the feeling I have is the midnight oil I am burning is worthwhile after reading this article. Thanks for sharing this profound knowledge. Glad to help Olawole! So glad you found it worthwhile!